Wordpress 4.3. All fine. 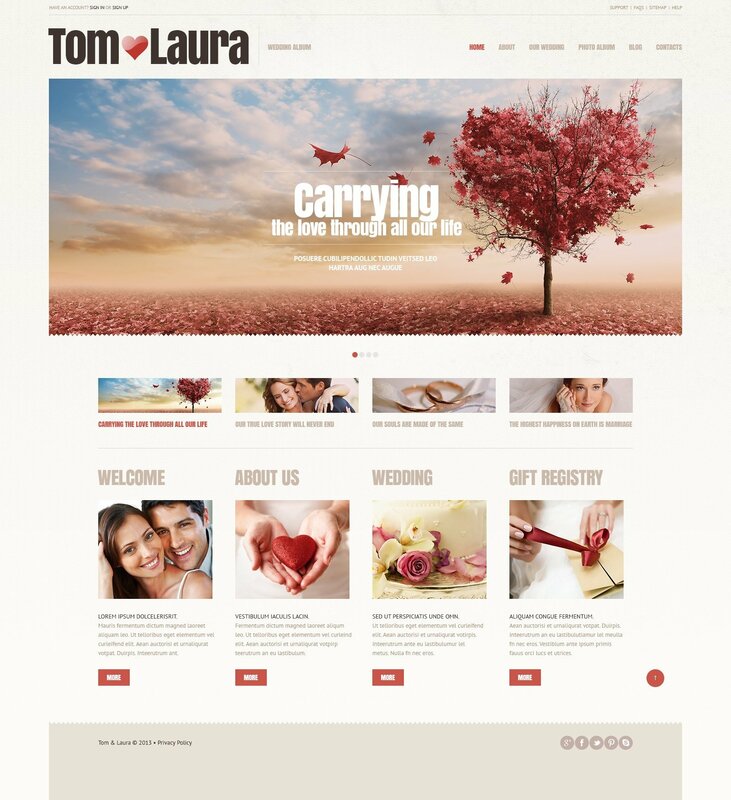 Good template for wedding agency website. I love using template monster. I think it's a great site. I love using template monster. I think it&#039;s a great site. if you check my purchase history , you will know I am absolutely your honesty coustomer since few years ago. I saw you put so many efforts on improving your products and services. Keep rolling! El tema es muy bueno, como todos los que ustedes ofrecen, pero deber&iacute;an ofrecer actualizaciones de los temas a las &uacute;ltimas actualizaciones de los diferentes programas, incluso con un peque&ntilde;o costo, pero que se actualicen a las &uacute;ltimas versiones de wordpress, prestashop, etc.